Apple is delivering a new Mac mini with modern processors and specs. The wait for the Mac mini update is finally over. After four years since its last update, Apple on Tuesday announced at its New York City event that the company is delivering a new Mac mini with modern processors and specifications. The upgrades are spotlighted by quad- and six-core 8th-generation Intel processors, which go by the code name Coffee Lake. According to Apple, the new Mac mini is five times faster than the four-year-old model it replaces. Apple boosts the maximum amount of memory supported from 16GB to 64GB, and the machine uses 2666MHz SO-DIMMs. The Mac mini also features flash storage that the company says is four times faster than the four-year-old predecessor, and can be outfitted with a maximum amount of 2TB. The new Mac mini also includes a T2 security chip, a new thermal system with twice the airflow as its predecessor, and a space gray case. The base Mac mini is priced at US$799, and includes a 3.6GHz Core i3 processors, 8GB of memory, and a 128GB SSD. 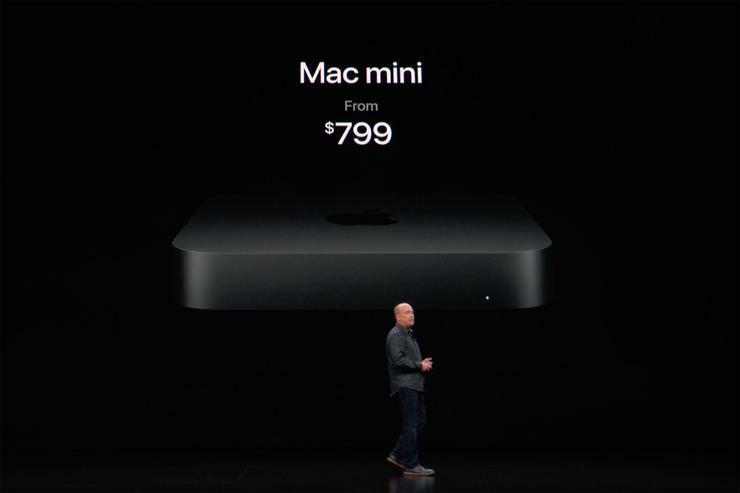 In Australia, pricing for the new Mac Mini starts at at a recommended retail price of AU$1249.